Cycling along the Danube bend. 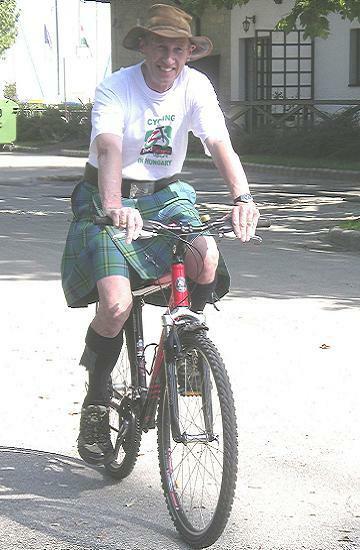 During our 10 day group cycle holiday I wore my kilt occasionally for evening meals and sightseeing days. 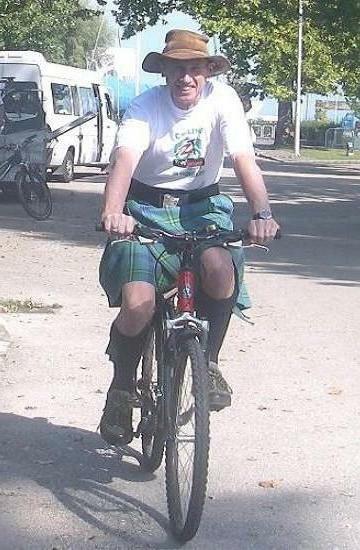 The group fancied seeing me on my bike, so rather improbably, but in a very respectable fashion, here are the results. The cycling pictures were taken in the Tihany promontory area, along the north coast of Lake Balaton, Hungary.